A European Parliament inquiry committee into the Dieselgate scandal approved a report yesterday (28 February) calling for a new agency to oversee road transport but stopped short of blaming new President Antonio Tajani for enabling widespread emissions cheating during his time as EU Industry Commissioner. The committee’s demand for an EU road agency will be controversial. Proposals for a formal agency have divided political groups and already been rejected by the Parliament’s Internal Market Committee (IMCO) and the Commission’s internal market chief Elżbieta Bieńkowska. MEPs will vote on the proposal for a new agency this spring. The inquiry committee was set up in January 2016 as a reaction to Volkswagen’s widespread use of illegal software to mask how much of the dangerous pollutant NOx the company’s cars emitted. News of the scandal broke in September 2015. Political groups in the Parliament at first clashed over setting up the 45-MEP committee, which held 47 hearings over the past year and wrapped up its work this week. Forty-five MEPs were voted into the European Parliament’s new inquiry committee tasked with uncovering potential failures of EU institutions to disclose information related to the dieselgate emissions scandal. A final report and recommendations to the Commission are not legally binding but the MEPs asked for the executive to report back every 18 months on its progress in keeping the car industry in check. The committee’s report was passed with 40 votes in favour, two against and two abstentions. Bieńkowska said in a committee hearing last month that she is frustrated by the car industry and national government resistance to cleaning up after the Dieselgate scandal. When the inquiry committee first started meeting last year, Bieńkowska was less forthcoming about her fights with member states and manufacturers. “If there’s an institution that really changed” from the year of Parliament hearings, committee chair Kathleen van Brempt told reporters yesterday, “it’s the Commission and Bieńkowska as a Commissioner”. 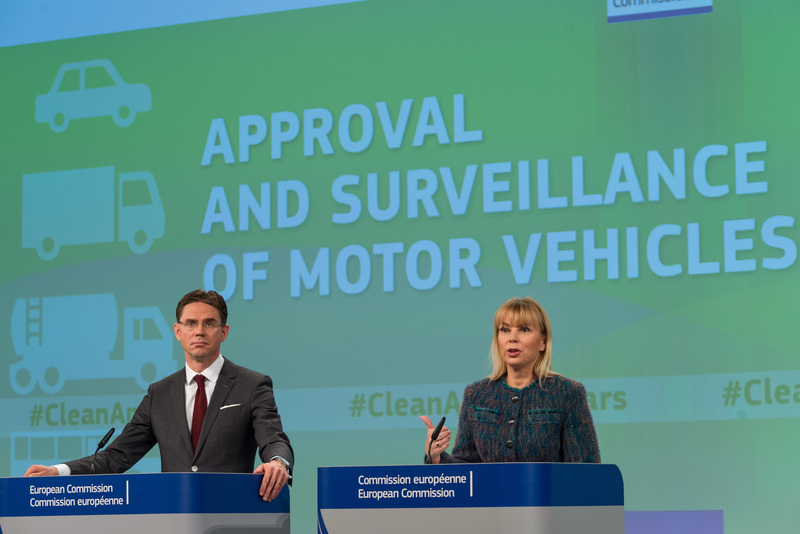 Four months after the Dieselgate scandal broke, Bieńkowska proposed new car type approval legislation to overhaul how national authorities approve vehicles and give the Commission new authority to probe cars on its own. 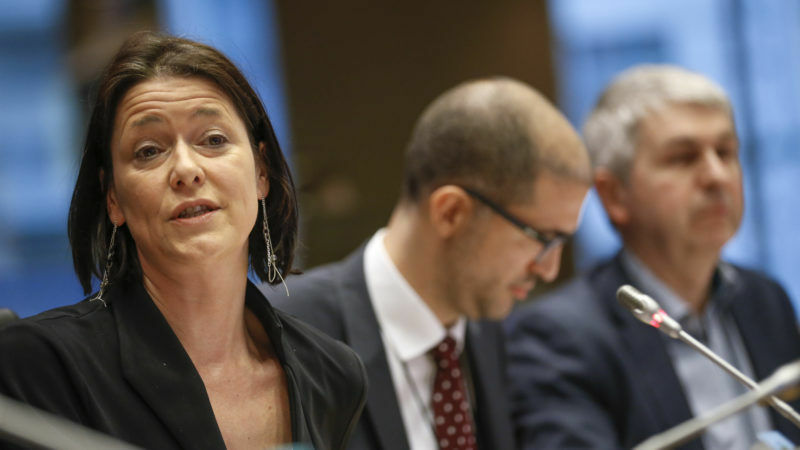 Van Brempt, a Belgian Socialist MEP, abstained from voting on the report because she said she was focused on tallying the rest of the votes, but she told reporters she is “very much in favour” of setting up an EU agency to oversee roads. “It will be a political battle,” she warned. The inquiry committee’s report is expected to face a vote in a plenary session of the full 751-member Parliament this spring. Van Brempt wants the plenary to vote on the report the same day it votes on the bill Bieńkowska proposed to overhaul car type approval. The IMCO Committee responsible for the type approval bill turned down proposals for an EU agency last month. Daniel Dalton, the British Conservative MEP in charge of the bill, said he is not convinced there is a need for a new agency. Under the legislation, the Commission stands to gain new powers to test car emission levels itself. But some MEPs have said they will still put forward amendments to the bill asking for an agency that is independent of the Commission. MEPs from the centre-right European People’s Party voted against amendments calling for an EU agency that were added to the IMCO type approval bill. But Jens Gieseke, a German EPP MEP who co-authored the inquiry committee’s report, was more ambivalent and said it is “not important” if the body that polices the car industry is an EU agency or something else. “I think the thing we invent has to work,” he said. The inquiry committee blamed the former Commission under then President José Manuel Barroso for its involvement in the Dieselgate scandal. But an amendment from Dutch Green MEP Bas Eickhout singling out former Industry Commissioner Antonio Tajani was struck down by the EPP. 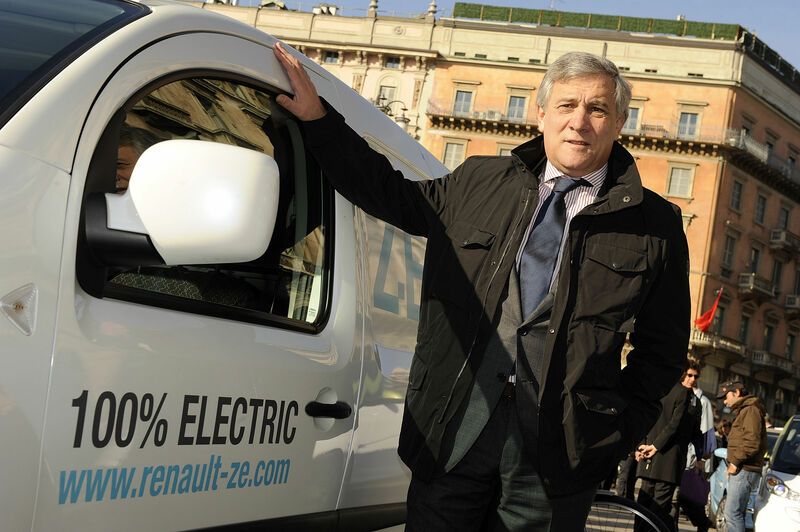 Tajani, an EPP member, was elected the new Parliament president in January amid criticism of his role overseeing the car industry from 2010 until 2014, when Volkswagen cars with cheating devices were sold and used across Europe. 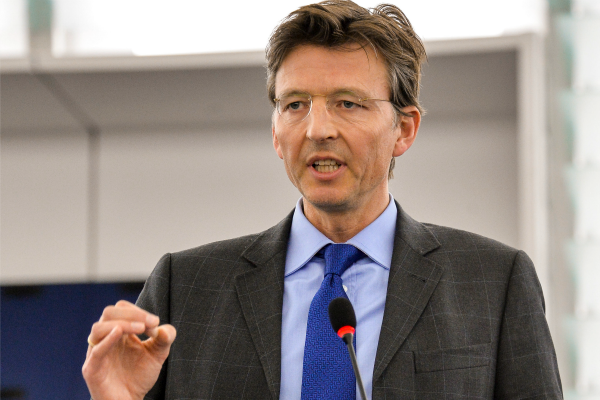 Van Brempt said there were too many people involved in overseeing car regulations to pin all the blame on Tajani. As Industry Commissioner, Tajani was responsible for laws on NOx emissions levels. He told the Parliament inquiry committee last September that he was never informed about Volkswagen’s use of illegal cheating devices. “We pinpoint down the responsibility on the former Commission for not having done what they should have done,” she said. Gieseke said the EPP did not want to play the “blame game”. In addition to Tajani and Bieńkowska, Günther Verheugen, who was Industry Commissioner from 2004 until 2010, also spoke in a hearing of the inquiry committee last year. Favourite in tomorrow’s (17 January) European Parliament presidency election Antonio Tajani is coming under increasing pressure for his role in the Volkswagen emissions test scandal. EURACTIV’s partner WirtschaftsWoche reports.